The Heritage Railway magazine reports on news related to the recent developments in steam train locomotives, and ongoing events on heritage railway sites. 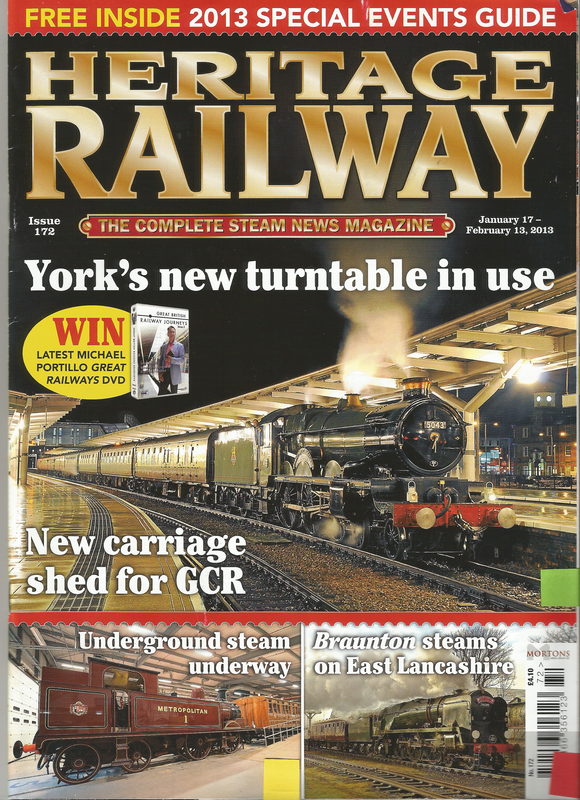 It has a range of articles and features; from concerns with penalty charges on tour firms, to individual experiences from steam train enthusiasts. It means that it can cater for a wide range of groups; from volunteers who work on the railway sites, to enthusiasts who will attend events and sites around the UK, as well as touring holidays in which to actually experience steam train travel. After presenting and submitting our initial work for the project, all the groups were told that they needed to go back and think about the development of concepts more carefully.